You will need a yoga mat for this imagery practice. Begin by taking a cleansing breath in, then out. Now, look at the image of the waves. Imagine that you are on the shore of the beach with your yoga mat. You feel the warm sun on your skin and watch the waves crash against the rocks in the distance.Stand up straight with both feet together on the mat. Inhale and allow your body to relax beginning with your toes, then your legs, and your torso. Continue to feel the relaxation move up through your chest, then neck, and fill your head. Imagine the soothing sound of the water around you. Continue to relax completely. Release the tension from your thighs and pelvic muscles. Inhale deeply, and then slowly exhale. Continue to focus on the image of the waves. 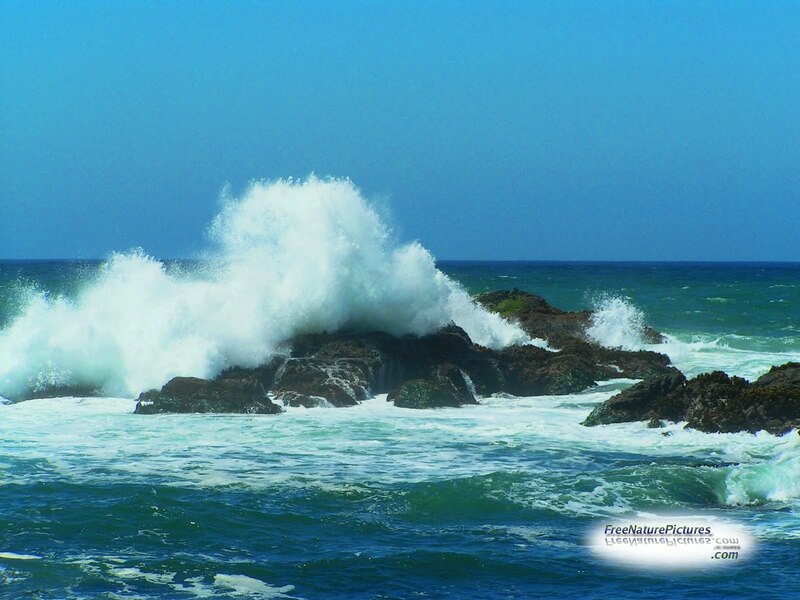 Recognize that your body is just as strong as the powerful waves. Inhale and then exhale. Now choose to remain standing or to sit on your yoga mat. Mentally scan your body. Where there is tension, imagine that the healing power of rest and relaxation is sweeping over this area. Feel your body relax further. Place both hands on your belly and rest quietly with your eyes closed. Inhale deeply, and then exhale. Now roll your shoulders back, then forward. Rotate your head in a circular motion toward the right, and then toward the left. Recall the image of the waves and continue to inhale and exhale slowly. Continue breathing deeply for a few minutes enjoying this time of rest and relaxation.